Here we are, another Hunk of Meat Monday recipe. This time, I’m featuring BACON! Yum! Halve biscuits horizontally by separating the layers. 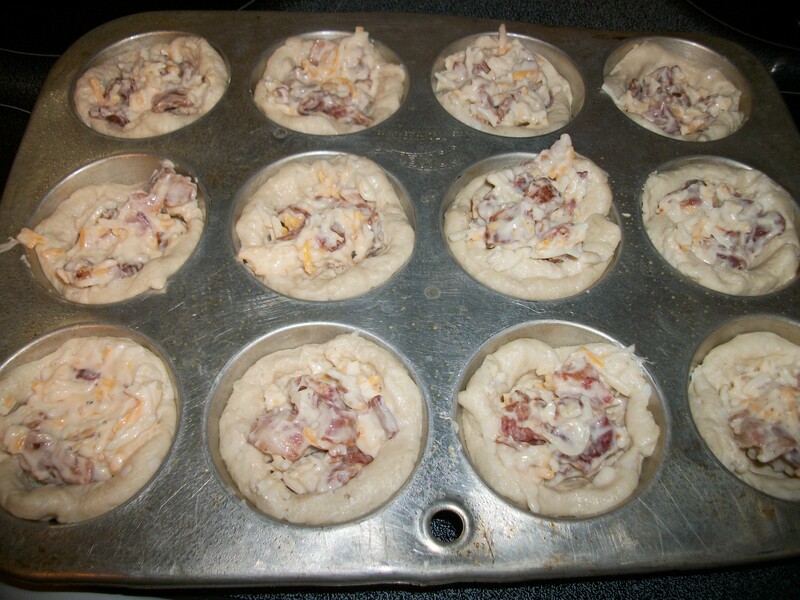 Pat biscuit halves into mini muffin tins that have been sprayed with non-stick vegetable spray. 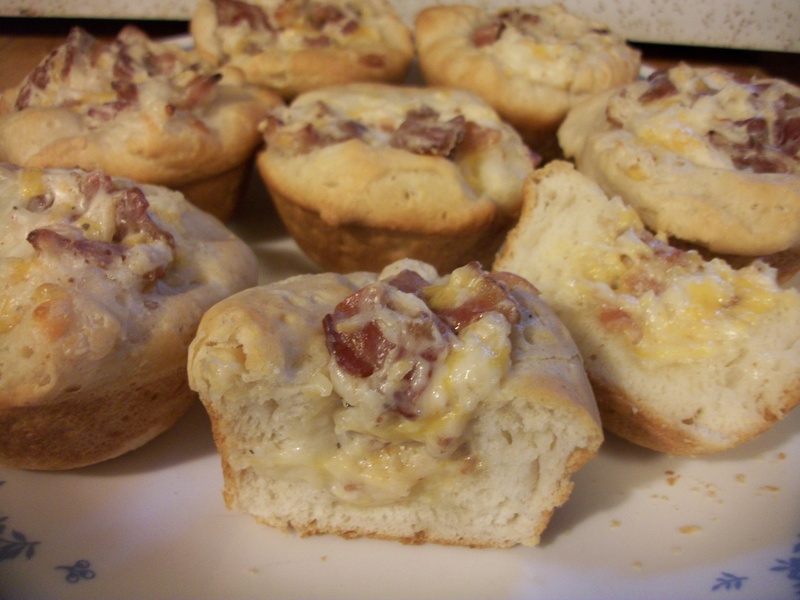 Combine remaining ingredients and spoon into biscuit cups. Bake at 375 degrees for 10 to 12 minutes. Makes 8 servings of 2 cups each. 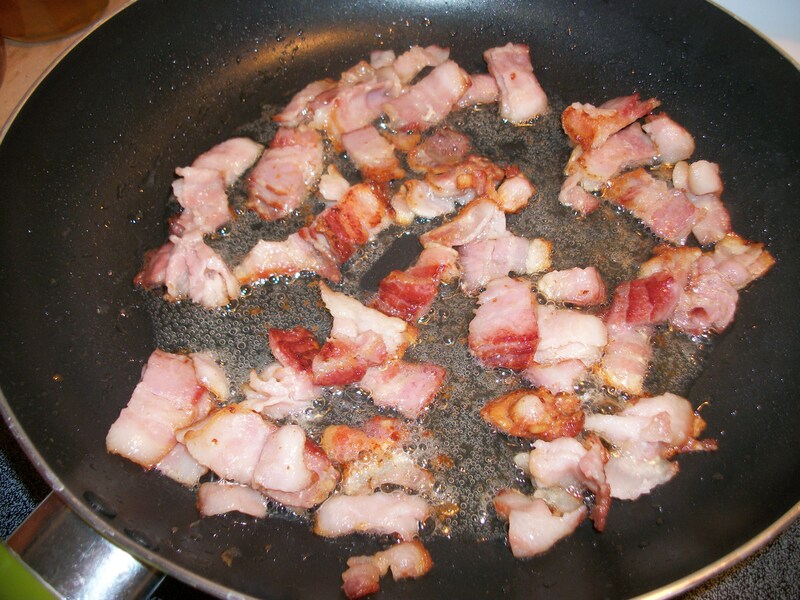 Happiness is bacon in the kitchen. Now, for my variations: My boys don’t like tomatoes, so I didn’t include them in the recipe. But I did dice some up for Boss Man to add to his cups. Also, I used Grands biscuits, so I used a normal sized muffin tin. It worked splendidly! And did I mention they were delicious!?! Total – $4.50 (the rest is all stuff I had on hand, as would most kitchens!) That’s a staggering 56 cents a serving! They’d make great appetizers, after-school snacks, or a quick, fast meal for a family on the go! Very portable! This entry was posted in Cooking, Farm life, Gooseberry Patch, Hunk of Meat Monday and tagged Cooking, food choices, Gooseberry Patch, life on the farm by wagfarms. Bookmark the permalink. LOVE THIS!!!!! Thanks for the idea! My family is going to LOVE this. My daughter has two favorite meats, bacon and steak. So, she is going to love this. YEAH! 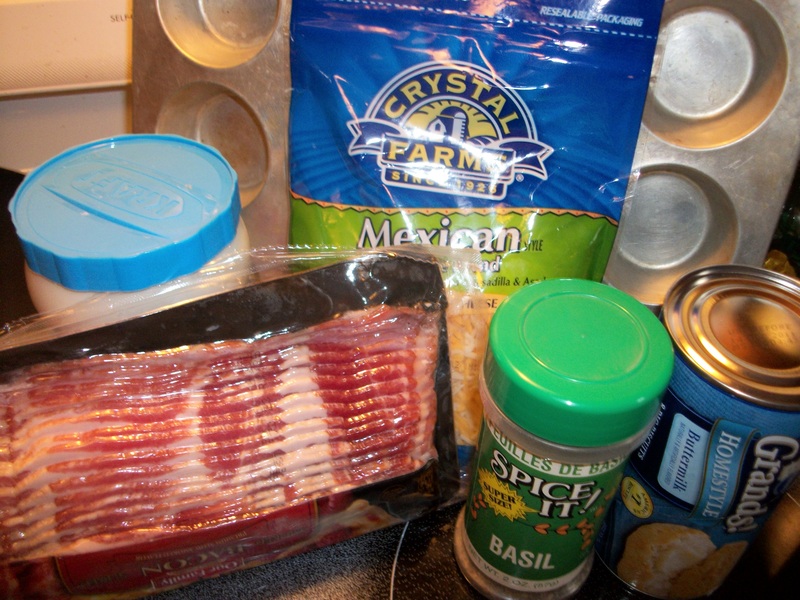 Thanks for linking up to Hunk of Meat Monday! This is an awesome recipe and a good one to clean out your fridge using a little of this and a little of that!